After all this time, I finally sat and sorted through alllll of the stuff that I got at the NY Comic Con. The only thing I regret was not having an old distant relative I never met drop dead and leave me their riches so I could buy everything. I had a great time discovering all sorts of creepy and spooky products out there from toys, clothes and collectibles. 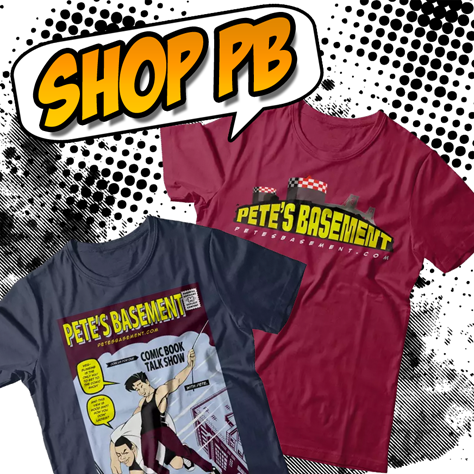 There's also a ton of independent and self published comic books out there and I'm always looking for new reads. That's why sometimes I read regular books too, such as The Dresden Files series by Jim Butcher. These are a bunch of awesome novels. Which is why it spawned a television show on the Sci-Fi Channel. I thought the show was pretty cool... until I read the first novel, Storm Front. Then I realized the show was kinda lost in the translation of the book and could have been done way cooler. Isn't that always the way? 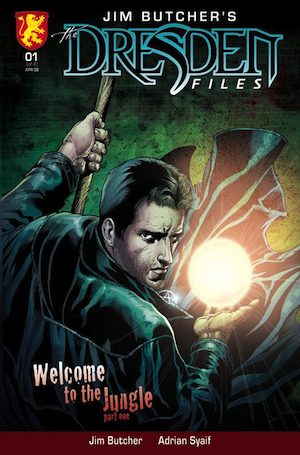 This is why I was so excited to see that the Dresden Files is now an exclusive made-for-comics, four part mini-series released under Dabel Brothers Publishing. I ran into the Dabel Brothers booth at the Comic Con, and I dorked out like a good little nerd. Moreso, because I had just picked up the first two Jim Butcher Dresden File novels, Storm Front and Fool Moon. I've been reading Storm Front and completely digging it like a grave. If you aren't familiar with Jim Butchers Novels or the Dresden Files show, let me introduce you to Harry Blackstone Copperfield Dresden. Better known as just Harry Dresden; Wizard. Not the kind of wizard you're probably thinking of with crystal balls, pointy hats and dragons roaming the land. Harry Dresden is a real wizard and freelance one at that. Look him up in the yellow pages... he's the only one there. He specializes in paranormal investigations, lost items, consulting and advice. No love potions or party entertainment, please. Usually, people approach him when the details surrounding their inquiry are "odd" and could use a wizards touch. But while this barely pays the bills, it's a good thing the Chicago P.D use him as a consultant for their more "out of the ordinary" cases that they just can't seem to explain. That's because the case usually involves something supernatural or magical and it just so happens that our wizard, Harry Dresden has a nose for these kind of things. As far as I know the comic has an original story made just for it. I was really into this book. It's just as fun and exciting as the actual novel. I also can't forget the best part... PICTURES! YAYY!! The folks over at Dabel Brothers have other things in store for us as well. Jim Butcher's aforementioned first Dresden File novel, Storm Front, is going to be adapted into a comic book due out October 2008. Which I personally can't wait for. There's this totally sick crime scene in the beginning that I HAVE to see illustrated in all it's twisted bloody glory. If you're a fan of the novels, the show, or just dig magic and all that supernatural stuff, go check out this book. Dabel Bros Publishing informed me the book came out last Wednesday, the 16th of April. Although, I don't remember seeing it or I would have picked it up. If you can't find it either, or your local comic book shop doesnt carry it, and you must get it immediately for whatever reason, Midtown Comics has it for 15% off. The Dabel Brothers website does not appear to currently have the book up for sale, but it should be available soon.